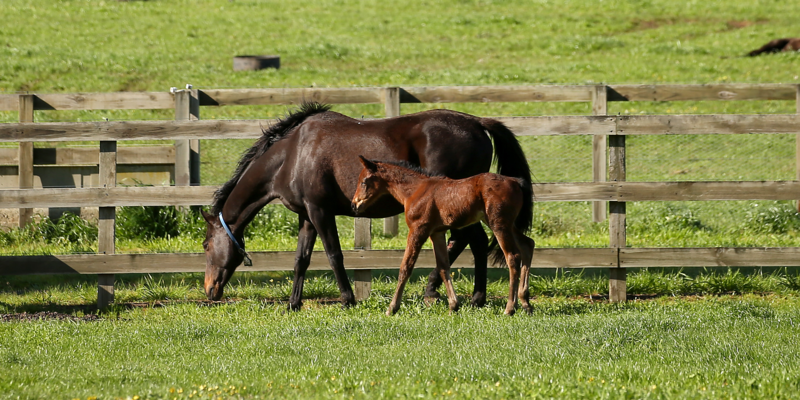 Want to learn more about the Off the Track Program or what some things clarified before making the decision to purchase or retrain a retired thoroughbred racehorse? 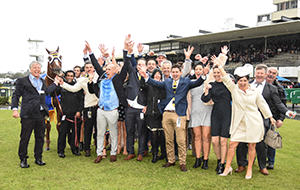 See the below frequently asked Off the Track questions. What is the Off The Track program? 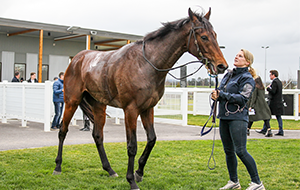 There are currently thousands of thoroughbreds in Victoria succeeding in their post-racing lives as pleasure or equestrian horses, including 2013 Australian International Three Day Event winner TS Jamaimo. 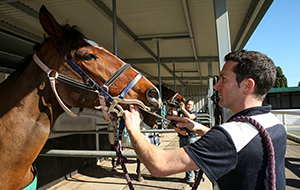 The Off The Track program facilitates the placement of retired thoroughbred racehorses in second careers by educating the community about the post-racing options, versatility and the appropriate care and retraining. 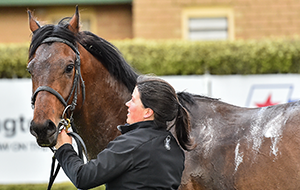 Why should I own a retired racehorse? 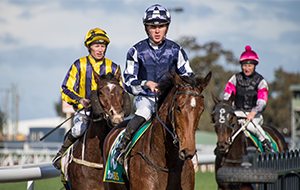 The versatility, athleticism and striking presence of retired racehorses makes them the ideal equestrian athletes for pleasure riding, pony club, riding club or professional equestrian disciplines. 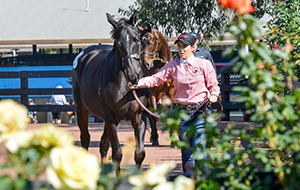 Educating and retraining a retired racehorse is an affordable and rewarding option and with the right retraining retired racehorses can excel in all kinds of equine sports including polo, showing, show jumping, dressage, and eventing. 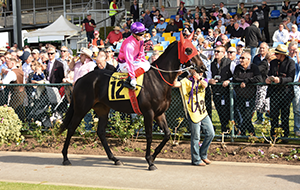 Many retired racehorses have successfully competed at Olympic level. 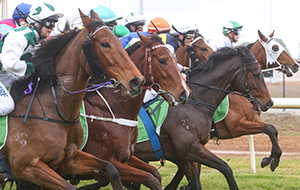 Racing Victoria’s Off The Track program is committed to sponsoring statewide equestrian events across all disciplines providing retired racehorses and their owner’s endless opportunities to win great prizes including prize money. How do I get a copy of my horses papers? 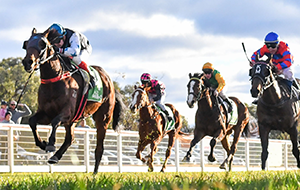 On the Racing Information Services Australia (RISA) website there is a Horse Identification Form, once completed and submitted RISA will provide an official identification certificate sufficient for competition purposes. More information can be found on the RISA website. How do I buy Off The Track merchandise? At this stage Off The Track merchandise is not for sale however we plan to have a range available for purchase later this year. How do I get a retired racehorse? 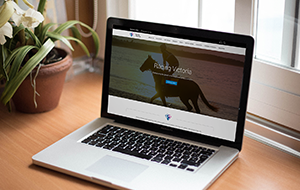 Whether you are looking to retrain a recently retired racehorse or seeking an established thoroughbred equestrian mount, there are several options that allow riders to find a suitable horse. 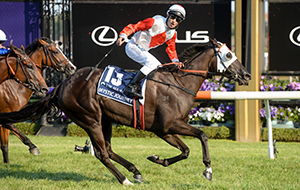 Visit our page on getting a thoroughbred for more information. 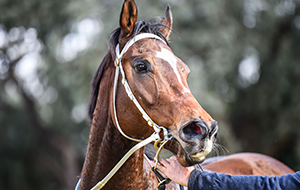 Can you help me find a home for my racehorse? 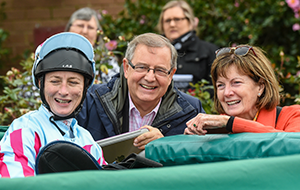 If you’re a current racehorse owner wanting to have your horse retrained and placed in an equestrian home or if you’re an equestrian rider looking to purchase a quality retired racehorse we encourage you to contact a Racing Victoria acknowledged retrainer in your area. 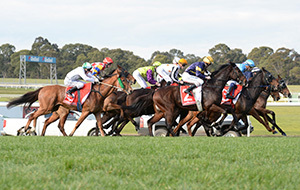 A full Racing Victoria list of Racing Victoria recommended retrainers can be found here. What is the Off The Track Show Series and how do I enter? 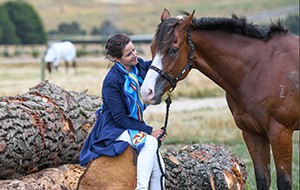 The Off The Track class is exclusive to retired thoroughbred racehorses and culminates in a final at the Victorian Agricultural Show (VAS) Saddle Horse Championships in Bendigo. 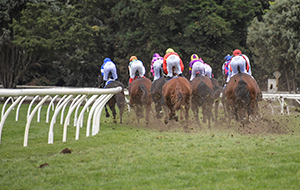 Horses must have competed in an official trial or started in a race, locally, nationally or internationally.